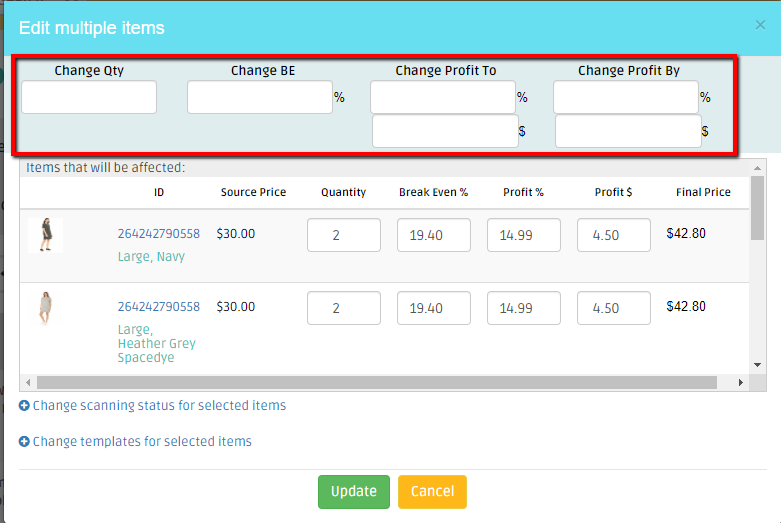 This article will explain how to edit existing variation listings from your price monitor page. To edit a single variation, click on the expand button to show all the variations of the listing and locate the variant you'd like to edit. 2. click on the pencil button, the single edit window will pop up. Edit the editable details and click UPDATE. 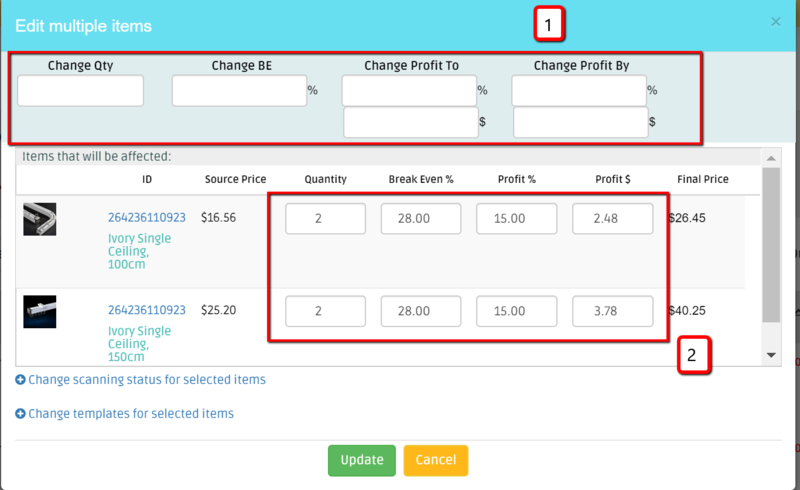 To delete only one of the variations, locate the desired one, and click on the delete button that appears to the right side of the row. From the pop up window, choose "End and Remove selected variation" option. 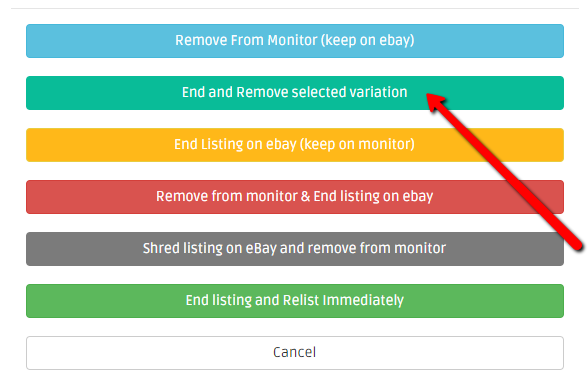 This selection will end the specific variation from eBay and remove it from the monitor. Select the variations from the table one by one. Click on the edit button that will appear at the top of the table. 3. The bulk edit window will pop up. Edit the details at the top of the table, or locate the variations you'd like to edit from the table. To learn more how each field affects your listings read the article about Bulk revise. 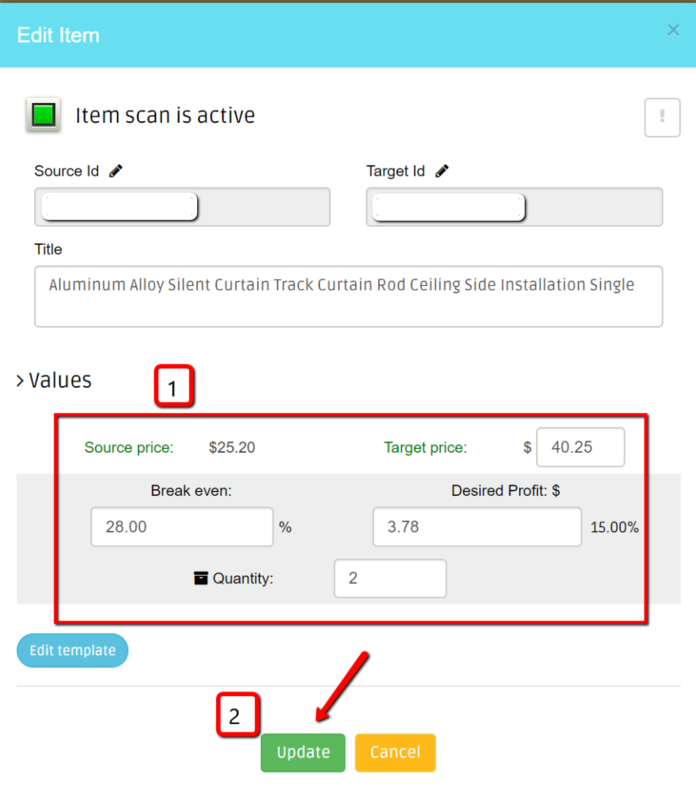 Once the display of the item is collapsed and all the variations are hidden under the first row of the item, clicking the update button will present the bulk edit window of all the variations. Make sure the variations are collapsed. Click on the edit button of the specific item.